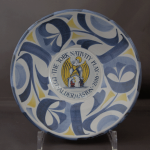 There are a few bowls in stock if you are interested in owning one. 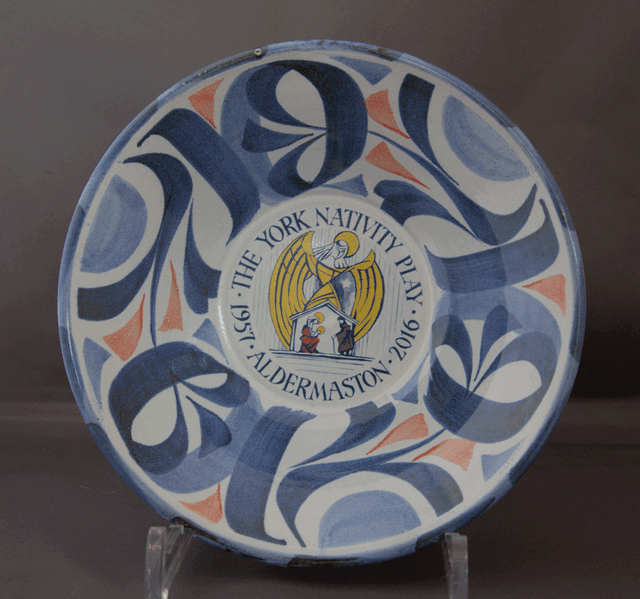 Two of Aldermaston potters have combined to create this lovely bowl to help us commemorate this diamond jubilee of the Aldermaston York Nativity Play. 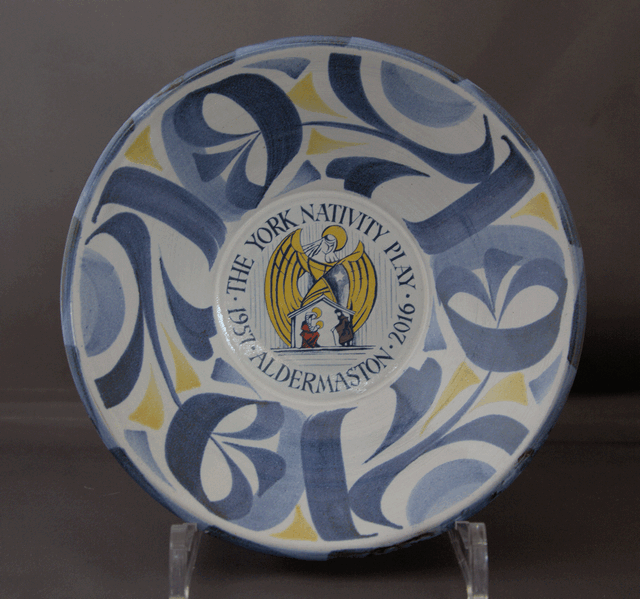 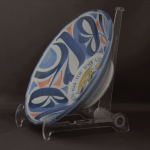 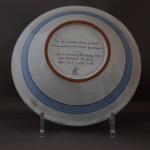 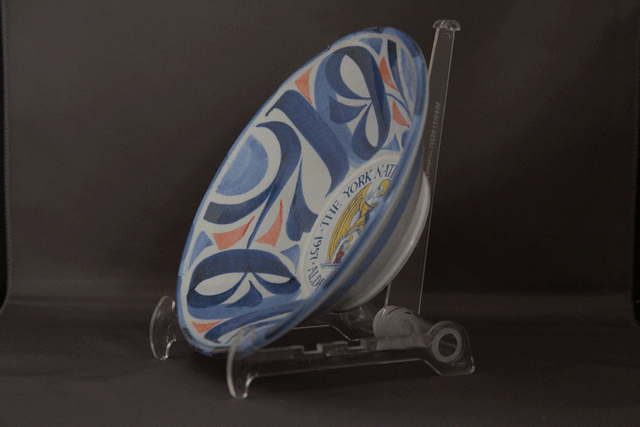 Andrew Hazelden and Ursula Wachter have created a bowl that complements other anniversary pottery: 30th (plate), 40th(plate) and 50th (chalice & paperweights) using the signature styling of Aldermaston Pottery, founded by Alan Caiger-Smith. 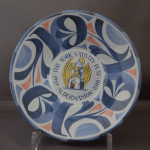 Alan’s influence is also on the bowl with his central motif being carried forward from other anniversaries and his hand-written inscription on the base. 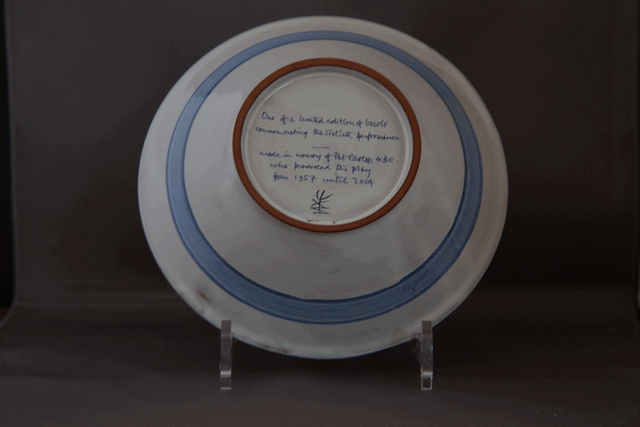 The bowl comes with the option of either yellow or red highlights – see pictures 1 & 2 above.